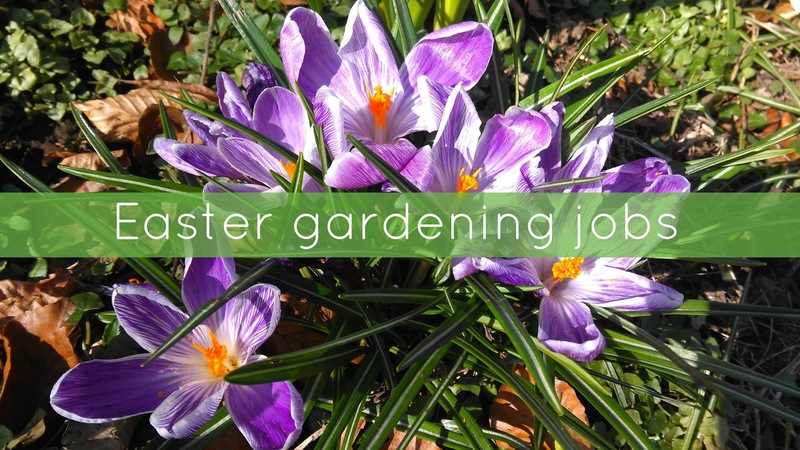 The big four day Bank Holiday is looming and traditionally Easter heralds the start of the gardening season. After the frost, wind and rain of the winter it's time to start having a tidy up. Even if you're not green-fingered there's little jobs you can do to make whatever outdoor space you have something to be proud of. In today's collaborative post here's my list of things to do this weekend whether you have a few minutes or a couple of hours. General tidy up – If anything looks dead pick, pull and cut it out. Leaves, dead branches, weeds and last year's plants all need removing so keep picking out what you can. Empty pots – Any pots left from last year can be emptied and cleaned up. If you've got time refill them with some seasonal plants. Homebase have some good deals on at the moment. Start sowing – Many seeds can start to be sown from now either inside or outside if it's warm enough in your location. Sort the greenhouse out – If you have a greenhouse which you have abandoned over the winter clear out any old plants and soil, fix or replace any broken panes or fittings and clean it down. You can then start to refill it! Prepare your lawn – It's amazing the difference a tidy lawn can make to a garden. If your grass is dry you can give it the first cut of the year. Also go round and trim the edges. If your lawn has moss then rake the lawn. Any moss you rake up put in a pile where birds can come and use it to line their nests. With this winter being so wet a few drainage holes made with a garden fork will also be beneficial. Clean decking and patio – The hard areas in your garden may be looking quite green and slimy by now. Brush the area first with a stiff brush or scraper. Apply a suitable cleaner as per the instructions and then wash off. For wooden decking then apply a protective coating a couple of days later. Get trees cut – If you have trees that are too big, blocking out light or become dangerous arrange to do this now. Many trees don't have leaves on them yet so most birds haven't built any nests yet which could be disturbed. Companies such as Advanced Tree Services can provide specialist services such as crown lifting which involves cutting the lower branches off trees for improved access and better light under the trees. Visit a garden – If you've done everything you can do in the garden or you're not one for pottering about get out and visit someone else's garden. From Easter you'll find gardens opening each week through the National Gardens Scheme (NGS) or their sister organisation Scotland's Gardens. Your admission price will go towards one of the nominated charities with £2.7 million being donated last year. What's your garden looking like at the moment? Will you be sorting yours out or visiting one this Easter? We don't have a very big garden as we live next to a farm, so we are lucky to be surrounded by nature (that doesn't have to be maintained by us) but Easter weekend is around the time that we start to do some "housekeeping" in our own garden, so will remember these tips! With spring in full stream, the daffodils in sprout and bloom starting to appear on the trees, a significant number of us will be anticipating the warm, sunny murkiness covering our patio nurseries amid the Easter weekend. Furthermore, the developed break is the ideal time to get out and give our greenery enclosures the TLC they merit. Hubby went out in to our garden for the first time yesterday in months. Its a mess so we have made a to do list too.